Hotel Globus, Prague. Globus Hotel Prague. The Hotel Globus is found near a wonderful park in Prague that offers a lovely panorama. We offer our guests a relaxing and unforgettable stay by providing the best services and comforts. Come and discover in person the family style atmosphere of hour hotel. It is easy to get to the center of the city from the hotel. It is possible to reach the major attractions and sights in the city of Prague, even if you come by car. Every morning a wonderful buffet awaits you, and in the evening you will enjoy the typical Czech style setting where we serve beer, wine and play fun music. At the reception you will find a safe and a place to exchange your money. Our rooms are nicely decorated and offer the best services and comforts. Thanks to the meeting room, where up to 40 guests may unite, the Hotel Globus is a perfect place to organise a business trip. 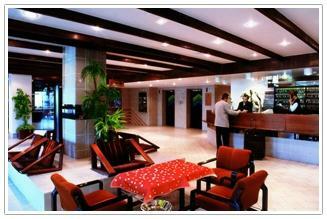 Come and enjoy the wonderful city of Prague in our luxurious hotel, we are sure you will come back again.